Living and enjoying the Asian aesthetic beauty, one can never forget to have twice the taste of Asian tea. Tea is one the most favorite and desirable need and has become a part of our culture as well. As its said that tea is a liquid wisdom, to some it must be for keeping them awake and active but for beauty it causes a little trouble. Drinking tea, or coffee stains your teeth. With that it leads to discoloration due to low nutrients and high level of sugar. The yellow stained teeth blot the whole personality and no matter what you wear or carry, if your smile doesn’t shine then it’s a total mess. Markets are flooded with so many tooth pastes that promises to whiten and cleaning the teeth but in reality does not give out effective results. Recently, I came across the idea of Charcoal Powder being used as a teeth whitener Activated Charcoal powder is like a regular charcoal but its mainly used for medical purposes. It binds with the plagues and stains of the teeth making them easier to remove. Social media has been bouncing with this new concept and so finally I thought to give it a try too. 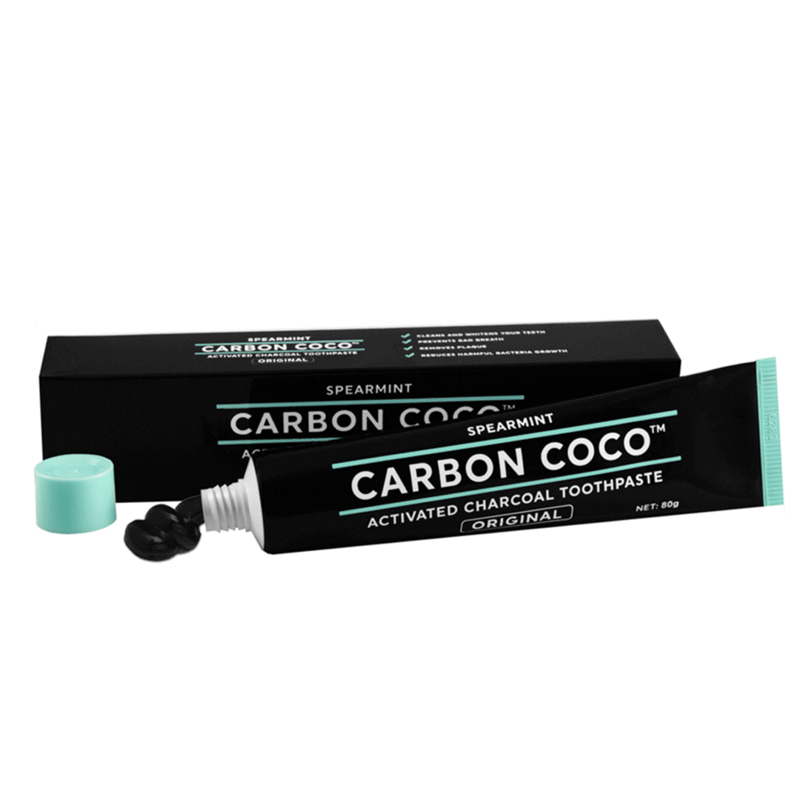 I got my charcoal teeth whitener powder and paste from a foreign brand named Carbon Coco. It promises to give hundred percent original, medicated and products with natural ingredients to polish, whiten and strengthening the enamel. 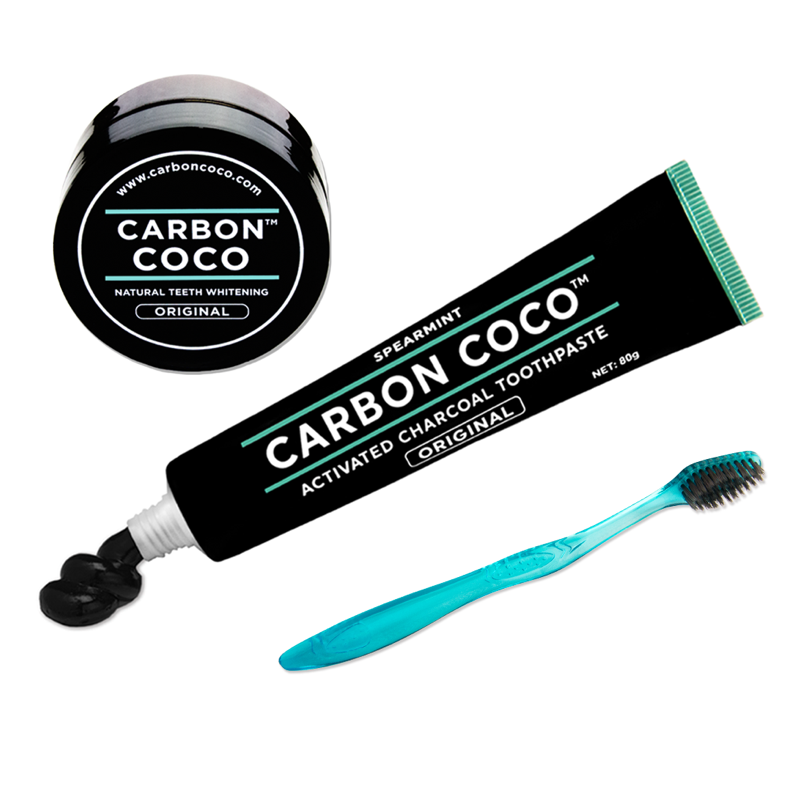 I got its Ultimate Carbon Kit, that has Activated charcoal toothpaste, Activated Charcoal Tooth Polish a tooth brush with bamboo bristles and a small bag to carry all the products up. I got my delivery within two weeks being safely delivered. It is extremely easy to use but you need to struggle a bit to keep the process neat and tidy. 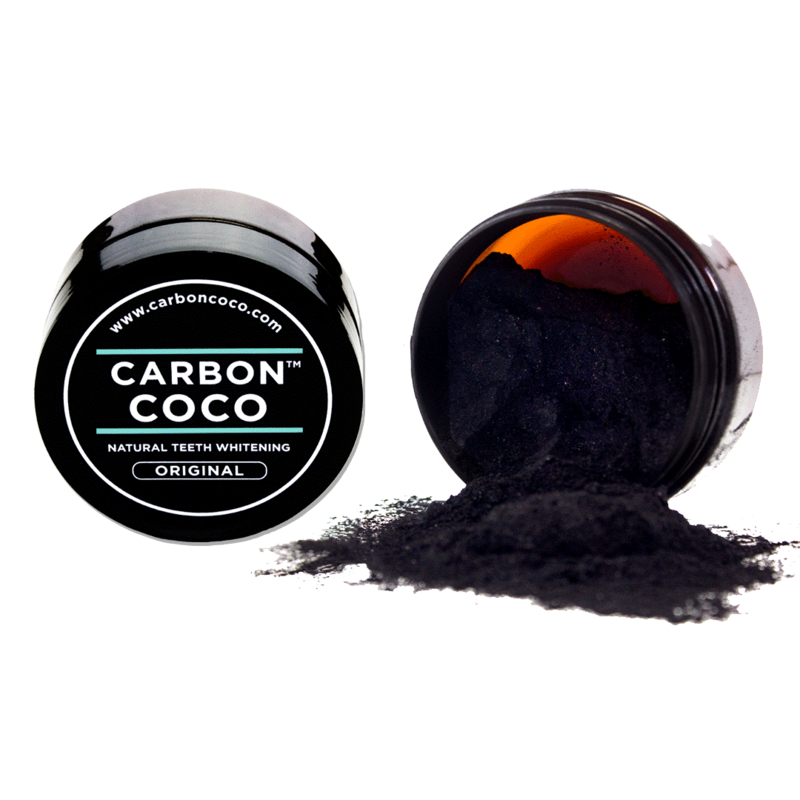 First you need to start with the charcoal polish, that is actually an activated Charcoal powder used in a small container. Dip your tooth brush slightly in the black powder and clean your teeth in gentle circles. Meanwhile, as the charcoal powder would blacken up your teeth giving you a witch look so you may also take selfies for the revelation of such amazing teeth products. The powder has simply no taste, but would give a little odor but that simply can be ignored. After brushing for two-minute rinse your mouth with cold water. A little residue of the black charcoal polish would be left on to your teeth. 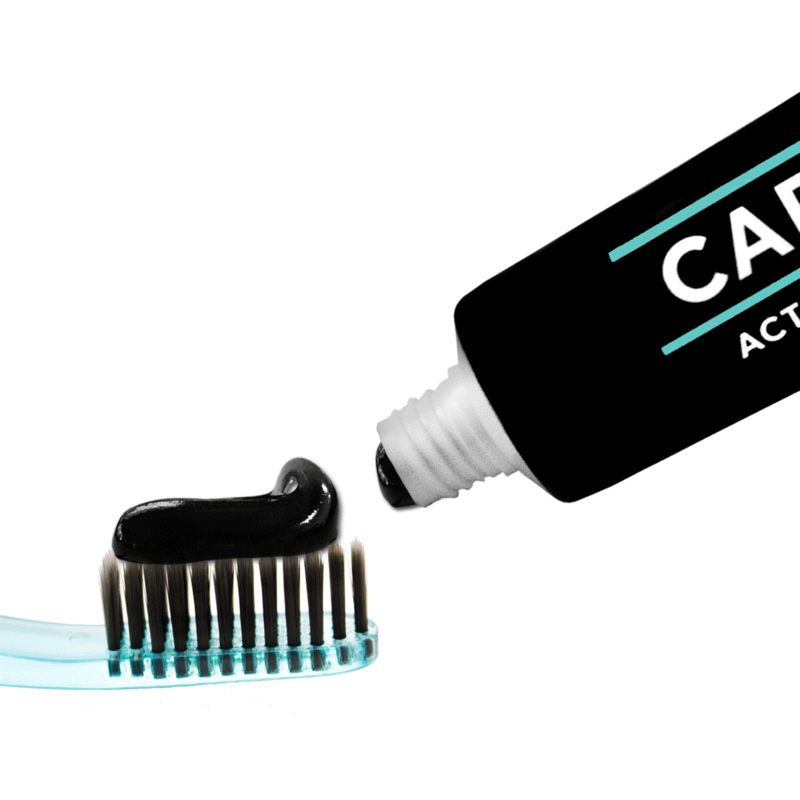 Now use the activated charcoal toothpaste to remove that too. Its toothpaste has fluoride free formula that fights cavities, plaque, gingivitis, bad breath. It has a mint like taste and you would enjoy the air of freshness around you. After that rinse it like a regular toothpaste and here you go with a fresh breath and whitened up teeth. It will make your mouth feel like amazingly clean and you would definitely make the process as one of your daily teeth care routine. With the simple two easy steps, you would get the brightened smile that you have ever dreamt off. Teeth whitening also becomes important when you apply makeup, as due to the change in the skin tone your teeth look more yellow and plagued. Within the first use, you would see the clear changes. After a use of ten days, the whitening of teeth would become very clear and would not make you feel ashamed the next time you would smile. Taking care of hygiene is extremely important, and therefore you must try to take care of them. These small tiny acts and routine would make your personality jumped up and would in build confidence in you to face the world. Thank you for reading my post ! Have a blessed week ahead. Thankyou for this wonderful piece of information … I have hopped around from one tooth paste to another for this very problem but to no avail. I will surely use this product !